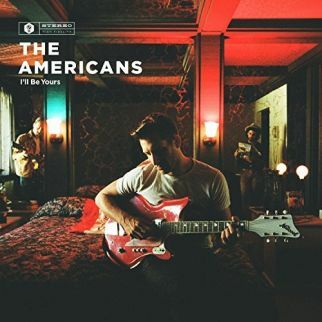 The care and consideration that The Americans give the track on I’ll Be Yours creates an individuality that provides each story with a defined soundtrack, every melody directed across winding musical paths. While the Los Angeles, California-based band freely take liberties with song structure, The Americans show a love for vintage Roots and Rock’n’Roll with chiming guitars, heart-on-the-sleeve vocals, and a fat backbeat. The title track sends a love letter on sparkling guitar and banjo notes as I’ll Be Yours takes a walk on “Harbor Lane” over chugging rhythms while sharp angles are carved by razor guitar licks and slicing percussion for “Stowaway” and tender guitar strings and piano notes surround the desperate goodbye scenes in “Gone at Last”. Rich soulful vocals, a constant flurry of guitar notes, and a powerful force of rhythm aer the constant on I’ll Be Yours. The Americans hold each cut in a tight grip. Jittery percussion fractures like the dreams shattered as “The Right Stuff” looks for a way out while anthemic chords and thick beats cut a swath through “Nevada” and staccato licks freckle a futuristic rockabilly groove for “Long Way from Home”. I’ll Be Yours gives heroism a “Bronze Star” and sways on gentle rhythms as it hopes for a “Last Chance” on a track featuring The Secret Sisters while The Americans exit the album on a sideshow chorus cabaret tune for “Daphne”.